MADISON, WI – The League of Women Voters of Wisconsin (LWVWI) and Wisconsin Election Protection publicly released today the Wisconsin Election Protection 2018 Midterm Election Report. The report compiles a detailed analysis of LWVWI volunteer observers findings and activities described to Wisconsin Election Protection from voters and the Milwaukee Area Labor Council roving poll watchers during the November 6th Election. Both best practices and examples of practices which could be improved at polling locations are emphasized in the report. The groups make several recommendations to address the problems cited in the report. “The League trained and placed 278 volunteer observers in 497 polling sites across the state for the November Election. The LWVWI election observers play an important role in documenting what actually happens on Election Day, so we can see what the voter experience is like in Wisconsin. 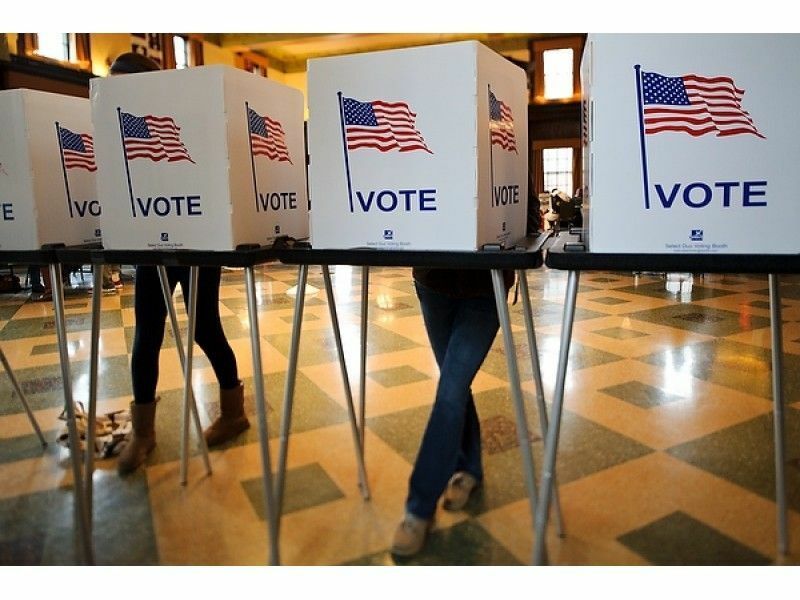 Their observations are instrumental in making informed recommendations to improve Wisconsin’s elections and ensure all eligible voters are able to cast their vote,” said Eileen Newcomer, LWVWI’s Voter Education Coordinator. While the November 2018 midterm election had increased numbers of voters participating as compared to other recent midterm elections, there is still room for improving elections in Wisconsin and encouraging greater voter engagement. The report contains specific examples of difficulties voters experienced as well as problems election officials faced on Election Day. The report concludes with recommendations for improving elections and voter participation including better voter education, more election official training, maintaining Election Day registration, and more access to acceptable forms of proof of residence documentation and photo IDs. Wisconsin Election Protection and LWVWI look forward to sharing the report and recommendations with clerks and the Wisconsin Elections Commission for further review and discussion for how to make improvements in advance of the 2020 Elections. The full report can be accessed here through the LWVWI website. Wisconsin Election Protection is a state affiliate of the nonpartisan Election Protection coalition which was formed to ensure that all voters have an equal opportunity to participate in the political process. We include the Lawyers Committee on Civil Rights, American Civil Liberties Union of Wisconsin Foundation, Milwaukee Area Labor Council, and Voces de la Frontera.